I’ve just passed a major birthday, which qualifies me for a number of government benefits, including social security and health care. While I appreciate the benefits, I also have to wonder: why do so many government benefits go to old people as opposed to young people? The benefit system helps people – like me – who have already had plenty of opportunities. I’ve had years to work and save money for my retirement. I know that not everyone has had the same opportunities. I worked hard but I also got lucky. I know that many other people weren’t so lucky. And that’s my point. Instead of paying people after they’ve retired, let’s invert the benefits ladder and invest in people from the beginning. Here’s an analogy – we’re all given small boats at birth. By chance, I got a boat that’s well built and seaworthy. My friend, Chuck, on the other hand, got an unstable, leaky boat. Chuck’s out at sea when his boat starts to sink. That’s OK – as long as he can swim to shore, we’ll give him a pension that will keep him alive. Wouldn’t it be better to spend the money up front and get Chuck a boat that’s as seaworthy as mine? Note that this doesn’t ensure that Chuck will be successful. He might still get swamped. Luck will still play a role in Chuck’s life. But we’ve shifted the odds. Chuck has a better chance to succeed but he still needs to work hard. Here’s how an inverted plan might work. When a child is born – let’s call her Susie — she automatically gets a bank account. Each year, the government puts, oh say, $10,000 in it. No one can touch the money until Susie turns 18. She then has $180,000, which she can use to start a business, go to college, learn a trade, or be a ski bum. It’s up to her. She can ask her parents for advice or not – it’s her money. The government then says, in effect, “OK Susie, we helped you get off to a good start – now it’s up to you.” The government might offer some savings plans – somewhat like social security – but they’re voluntary. Susie is now launched. She has to make her own choices and take responsibility for her own welfare. She has every incentive to work hard and invest wisely. I’m attracted to an inverted plan because it touches on so many American values. We say that all men (and women) are created equal. The inverted plan gets us all off on equal footing regardless of the accidents of birth. We’re also an individualistic culture and admire people who pull themselves up by their own bootstraps. The inverted plan gives people better bootstraps and the incentive to pull hard. My plan resolves the questions of the “deserving poor” – we simply agree that all children are deserving. Grown-ups, on the other hand, can take care of themselves. All we need to do is to protect them against the failure to launch. So, I suggest that we consider an inverted plan. Let me know what you think. 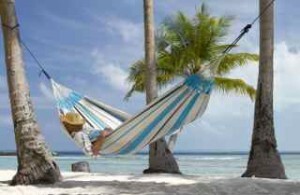 In the meantime, I’ll be lying in a hammock enjoying my government benefits. Hi Travis, long time no see! As you know, the social welfare setup is quite different in Sweden, so your idea would not entirely apply here. You are however close to one of my favorite topics: I believe all children, even newborn, should have the right to vote in all public elections. But the parents should administer this right until the child turns 18.